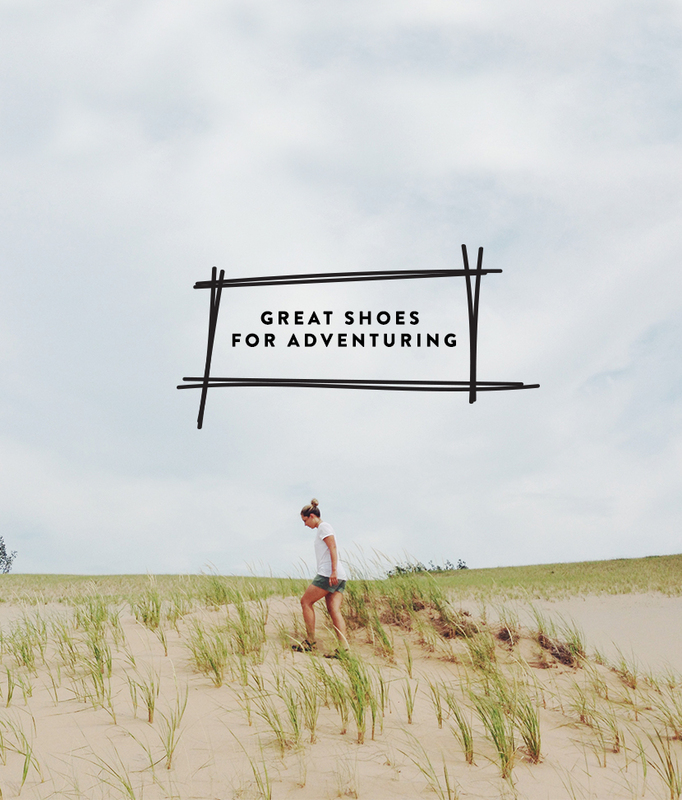 Living in Northern Michigan on the shore of Lake Michigan and amongst some of the greatest views of the country, this means you have more shoes to adventure in than anything else. You never know when the day will call for a dune hike that ends on a rocky or sandy shore and a dip in the lake that then leads to an evening bonfire. It is the way of life here and the kind of life we love. In fact, I usually feel most comfortable in shoes that can go from bike ride to river wander to dune climb to dinner at our favorite restaurant. 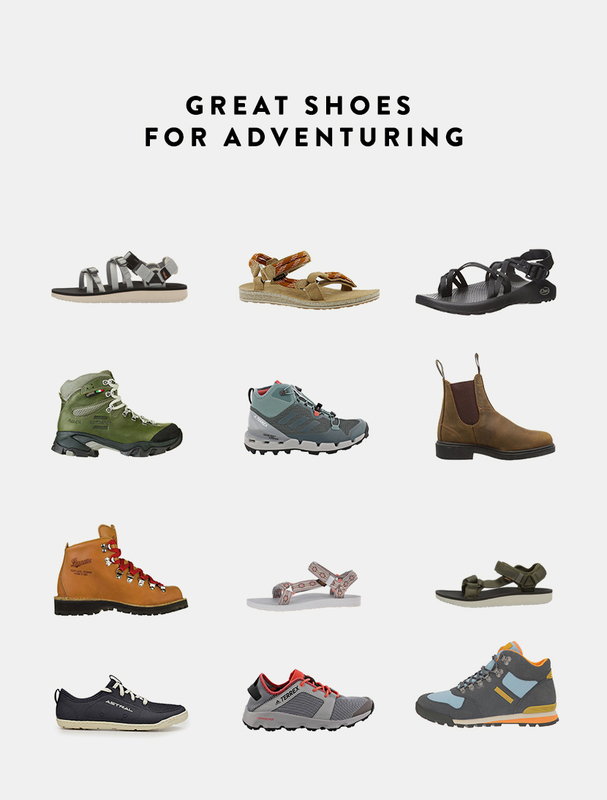 So, I gathered up a collection of shoes that will help you deeply enjoy any and all adventures that may or may not be planned this summer. My suggestion, keep these ones in the car because I think it is best to always live with the mentality that you never know the adventures the day may bring. What shoe do you keep in your car this time for year for adventures? What is your standby for hiking and water adventures? I love those Teva sandals! I desperately need to sort myself out and get some! Great tips, great work. keep it up! If you somehow get yourself on a boat, you’ll need your toes covered. So my keen sandals are essential to my summer. Also my kids grew up in keens during the summer and merrells in the winter. Now that they are teens, i wish the were still so easily shod! ChacOs all tHe way. I have had many pairs over Almost 20 years. I have worn out a couple and changed styles a couple times. My husband wears them, my 7 year old has a pair and my dog has a chaco collar.